Station 3 Holyoke Fire Department, c. 1890s. It burned to the ground in 1876. 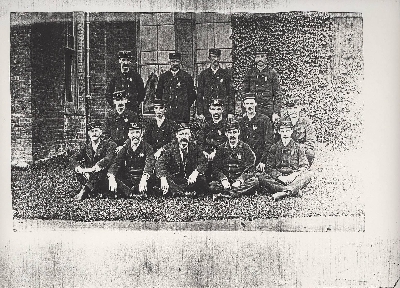 "Holyoke Firemen," in Creating Holyoke, Item #258, http://creatingholyoke.org/items/show/258 (accessed April 18, 2019).